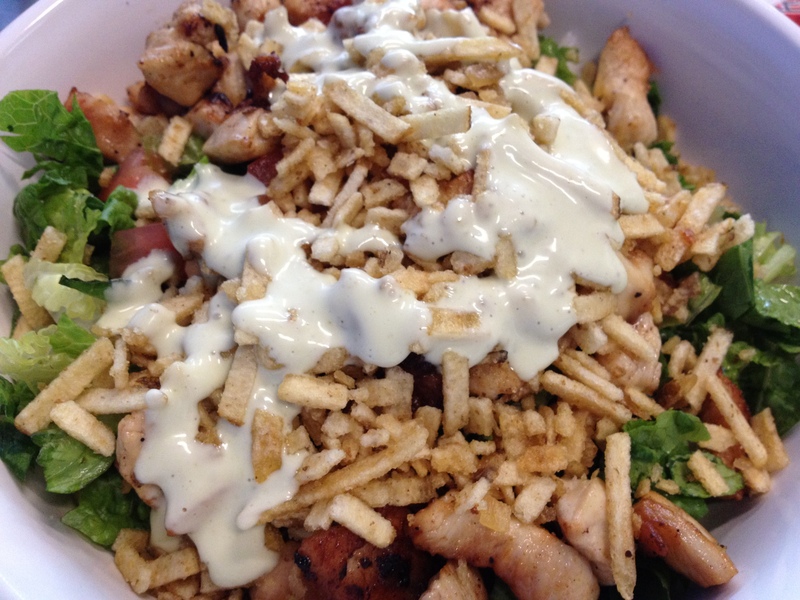 There are a ton of sit-down Latin American restaurants in Miami, but I can only think of a handful of fast casual joints. 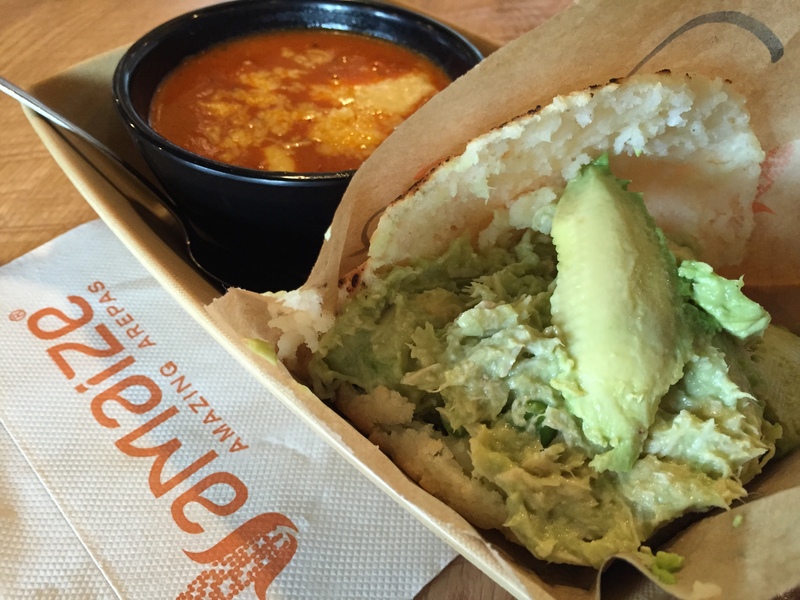 The flavor of the day was Amaize*, a relatively new fast casual Latin American restaurant that opened in town just a couple months ago. The restaurant’s known for its arepas, or corn pancakes, and cachapas — think of these as sweet yellow corn pancakes. Both are prominent in Venezuela and Colombia. For lunch, I ordered the Beauty Queen — avocado chicken salad (with peas) stuffed into an arepa — and made it a combo (for an extra $1) by adding a roasted pepper and gouda soup! I enjoyed the stuffing, but wouldn’t necessarily say it wowed my taste buds, so I’m going to have to give it an okay. On the other hand, the arepa itself was soft on the inside and crunchy on the outside, so despite it’s inherently bland nature, I must say I enjoyed eating it and if I had to rate that by itself, I’d give it a fine. Onto the soup! Roasted pepper and gouda. Pretty bold flavor I have to say, but at first I was unexcited about it. After a couple spoonfuls of the roasted pepper soup, I got to the cheese. OMG, the cheese was melted just the right amount and became all stringy when I tried to separate it from the rest of the soup — just like that hot stringy cheese on the pizza that came right out of the oven! The amazing part was that the cheese was still melty 20 minutes — or more — into the meal! Overall, gotta give this soup a fine-good. Thumbs up, I’d definitely order it again. Here’s their menu in case you’re in town and interested in checking it out.